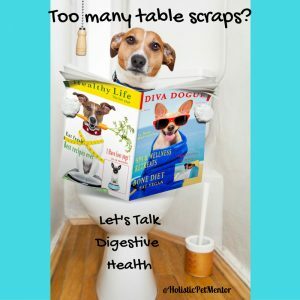 Healthy pets have healthy guts. 2. Give your dog a treat of raw, Manuka Honey, as long as he is not diabetic. Time and time again, raw honey proves to be a winner in helping the body for immune support, seasonal discomforts, wound care, and healthy digestive function. It’s full of vitamins, minerals, enzymes, contains beneficial bacteria and is high in antioxidants! 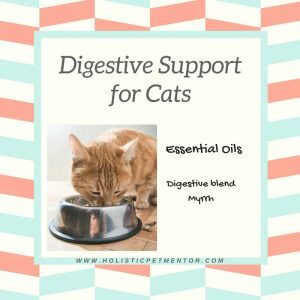 It’s especially helpful for senior pets and those needing extra calories due to picky eating or overcoming serious health challenges. Now why am I specifically sharing Manuka honey? Several holistic pet journals and websites I checked out (like Dogs Naturally, Mercola, The Whole Dog Journal, and Natural Dog Health Remedies) agree that Manuka honey is the top choice for our pets. The quality of the Manuka honey is important, so I provided a link to the most therapeutic grade of Manuka Honey I could find. 3. Let your pet snack on fermented vegetables. Fermented vegetables are a great source of beneficial bacteria (aka probiotics). Probiotics promote healthy digestive function and immune function. For our pets, fermented foods are probably the best and easiest way to get pre and probiotics into them. You can make your own fermented veggies or pick some up on amazon. 4. Try some organic bone broth in your pets food or on the side as a treat. If your pet needs help with better digestion, bone broth is soothing to the stomach and can help a pet recover more quickly after a bout of vomiting or diarrhea. Pets that have had traumatic injuries or experiences can be enticed to begin eating again with a little bone broth. 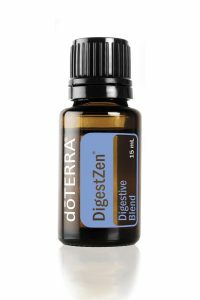 It’s packed with vitamins and minerals, plus collagen (which is highly needed in helping the gut repair itself). Plus, your pet will LOVE it! 5. Last, but not least, make sure your pet’s diet is healthy and balanced! I recommend trying out a raw diet because our cats and dogs digestive tracts are designed to thrive on raw, whole meats. If you can’t go completely raw with your pet’s diet, consider adding 1 raw meal a day (commercial or homemade) and the other meal a high quality canned pet food. There are lots of things to consider when choosing pet food and it can be overwhelming! 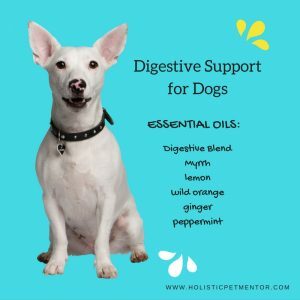 If you are looking for help picking the best food for your pet, make sure you hop on over to my Schedule Session page to book a phone consult with me. Natural health pet care is my passion! I would love to know if you put any of these tips to work for your pet. Click HERE to send me a message and let me know if this has helped your pet. *These statements have not been evaluated by the Food and Drug Administration. These products and information are not intended to diagnose, treat, cure, or prevent any disease.